We can help you achieve your goals with your roofing in Pittsburgh and do-so within your budget the best we can. If for any reason you have any questions or comments about our roofing services in Pittsburgh, feel free to give us a call at 412-793-8000 or fill out the form on this page and a representative will respond shortly. Trust the qualified team of Pittsburgh roofing experts to make sure your roofing job is done properly, completely, on time, and on budget. Schultheis Bros. is a family-owned business with an impressive team of industry specialists dedicated to providing quality materials and extraordinary customer service. 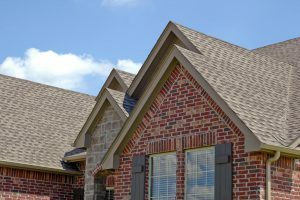 Since 1946, the industry professionals at Schultheis Brothers Company are also a highly respected residential and commercial roofing company in Pittsburgh servicing the entire metropolitan area. From storm caused leaks, to physical damage from a downed tree or a collapse from the weight of our heavy snow, Schultheis Brothers Co. can be there to fix your roofing in Pittsburgh. Our roofing services in Pittsburgh are very reasonably priced compared to our competitors and we offer financing for all our services with approved credit. If for any reason you have any questions or comments about our roofing services in Pittsburgh, feel free to fill out the form on this page and an associate will respond shortly or give us a call at 412-793-8000.